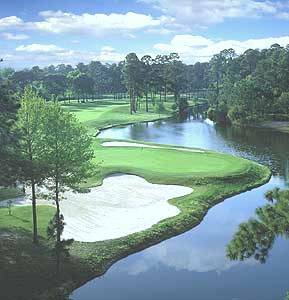 Bear Creek Golf Club, is a Private, 18 hole golf course located in Hilton Head Island, South Carolina. 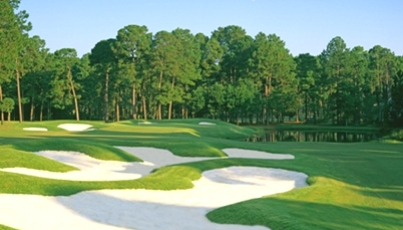 Bear Creek Golf Club first opened for play in 1979. The course was designed by Rees Jones. 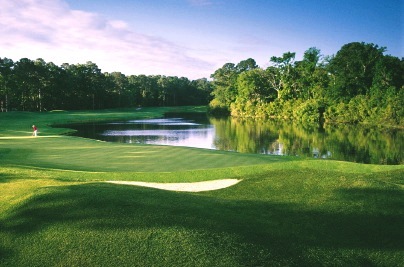 Bear Creek Golf Club was Rees Jones’ first solo design. 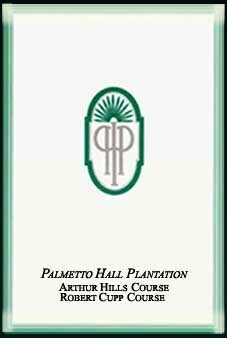 In 2006 he returned to oversee the courses’ renovation and improvements. The course was cut through a heavily-wooded area. 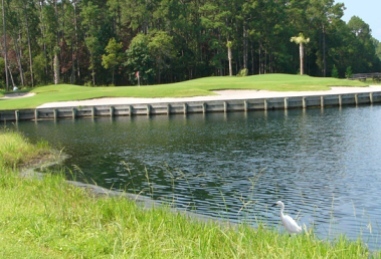 Water hazards (twelve ponds) come into play on eleven holes. The fairways are flat and tree lined. Par for the course is 72. 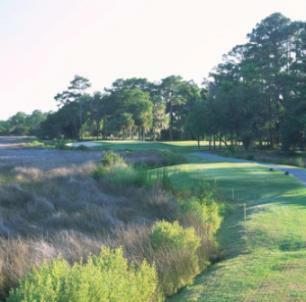 From the back tees, the course plays to 6,804 yards. From the forward tees, the course measures 5,316 yards. The longest hole on the course is #13, a 532 yards par-5. The shortest hole on the course is #2, a 172 yard par-3. Watch out for #3 this 431-yard par-4 is the 31 handicap hole. The easiest hole is #14, a 186 yard par-3. 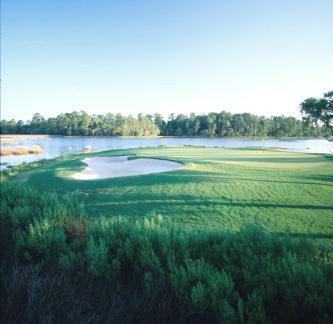 The signature hole is #18, a 508-yard, par 5, which faces the clubhouse and requires an approach shot to a small green.